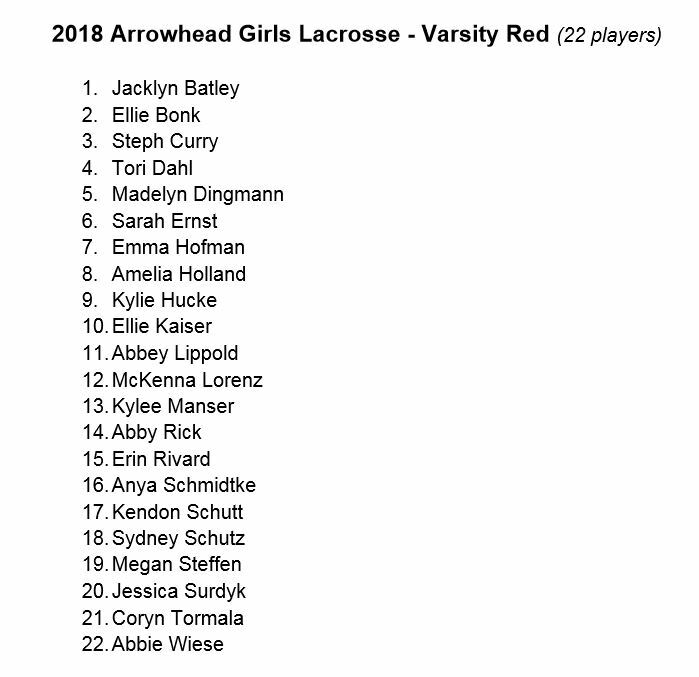 According to MaxPreps, an online high school sport website, Arrowhead Varsity Red Girls Lacrosse has a 1-0 winning record so far this season. Their next game is Monday, April 16, at 7:00 p.m. against Kettle Moraine at Kettle Moraine High school. Arrowhead Varsity Red Girls Lacrosse is coached by Tom Truttschel, he has been coaching for 9 years. Varsity red has two assistant coaches, Lee Bromberger and Sara Tuescher. According to MaxPreps, girls varsity lacrosse had many winning streaks such as in 2009: a winning streak of 22 games, 2008: a winning streak of 10 games, and 2007: a winning streak of 10 games. Overall Arrowhead girls varsity lacrosse has a record of 186 wins and 48 losses. Previous to coach Truttschel the girls varsity lacrosse team was coached by Connie Tjarksen, and coach Tom Truttschel started coaching during the 2010-2011 season.